So, as my current stereo is kinda dead, my mediabox (home server) still is located in my home office upstairs, headphones are bothersome and laptop speakers decidedly are not on-par with hifi stereo, I started thinking about how to get some decent sound back into our living room. So when we went shopping a few days ago, I dragged my girlfriend into our local quality hifi shop, where we were caught almost immediately by an employee, which turned out to have a really decent talk about the smaller-sized hifi equipment in their store. 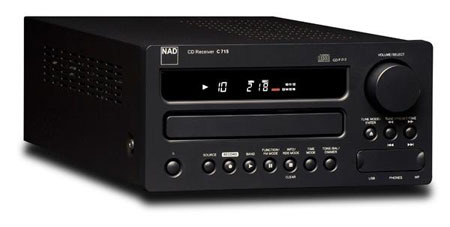 We gravitated a bit to a NAD C715 stereo receiver with CD player, about which the guy told us quite a bit. It looks quite promising! But as the living room is downstairs, I have my workstation and home server upstairs, and we don't want to have all kinds of cables across the floor leading from our laptops or mp3players to the stereo installation, I started thinking on how to fix that situation. Before, I had the home server hooked up directly to the stereo, but that's not feasible currently. Today, I ran across the Slimp3, which nowadays is called the Squeezebox. 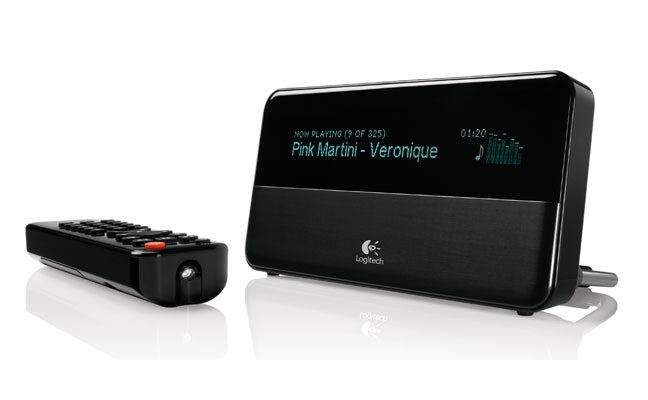 Of the various devices Logitech (formerly the company SlimDevices) offers today, I like the Squeezebox ™ Classic the best (this is the third version of the little box). It's a relatively simple device, mainly consisting of a large screen showing the music information, a remote control to browse through your library, news ticker and internet radio stations, and a server component, which is software you install on the machine you have your music collection stored on. One nice thing of this product is that Logitech/Slimdevices open-sourced the server software. They even have a Debian package (which works on Ubuntu and Knoppix too). This is nice, as it doesn't rely on some proprietary windows or apple mac software, but can be extended upon, hacked on and will likely be around in ten years, which is nice as I tend to use my hardware for stretches like that. For some light entertainment and a video demo of the box, see this New York times review by David Pogue.